Hospitals and healthcare providers are reaping the many benefits of moving to electronic healthcare records (EHRs). Costs are lowered, errors are reduced, care is improved, systems are centralized and documents are more accessible and traceable for both patients and staff. In the not-so-distant future, we may see patients being discharged by signing out via PDF technology. PDF technology is disrupting any industry where paper is the norm. By 2016, 99% of hospitals used some sort of EHR system. Due to its ubiquity, stability, and ease of viewing and sharing PDFs are the chosen format for the vast majority of these records. But the benefits of digital records fall apart when they cannot be easily edited or manipulated. Over 38% of healthcare knowledge workers default to printing when they need to review a PDF, and almost a third still enter forms manually. It’s vital for healthcare productivity that PDFs can be just as easily generated, edited, and annotated as paper or Word documents. Foxit PDF SDK is a single solution for everything application developers need to manipulate PDFs. Features include document management and auto-edit functions like text editing, printing, text manipulation, and search & replace. Document signing with handwritten PSI signatures is another capability, as well as programmatic modification of metadata and properties. Healthcare faces unique challenges in document management due to HIPAA (Health Insurance Portability & Accountability) regulations with non-compliance running the risk of expensive fines costing tens of thousands of dollars per violation. Foxit’s secure & reliable encryption is all you need to keep your mind at ease when sharing/archiving medical records. Our product is optimized for enterprise class applications and dealing with vast quantities of documents. Our world-class processing power allows for complex apps to manipulate and render the millions of PDFs generated annually within a hospital. And without the performance problems that typically plague large applications. WIth our best-in-class OCR functionality, printed documents can be digitally stored as searchable PDF files. Medical reports, laboratory test results and other relevant correspondence can then be linked to the patient’s electronic health record (EHRs) and easily accessed at any time via keywords. We will use your name and email address to contact you. We won't use your personal data for any other purpose. Full-text search is a highly valuable feature to have in any document management system. Having the ability to search through hundreds or thousands of documents within seconds can help healthcare companies to identify information without having to read through documents manually. Using PDF technology users can search their archived PDF patient database quickly and efficiently. Archiving in PDF has become a best practice for companies with large volumes of documents. Not only is it secure but it holds an ISO Standard to ensure maximum document quality and fidelity, today and in the future. Our PDF SDK helps you with compliance, maintaining consistency and simplifying the process of document creation. Foxit is the processing power behind your Regulatory Electronic Submissions; our technology is your success. Our features result in faster approvals of your applications. Foxit’s security features include Right Management and password protection that is a cut above the rest to ensure that your customer information and company documentation is stored securely. 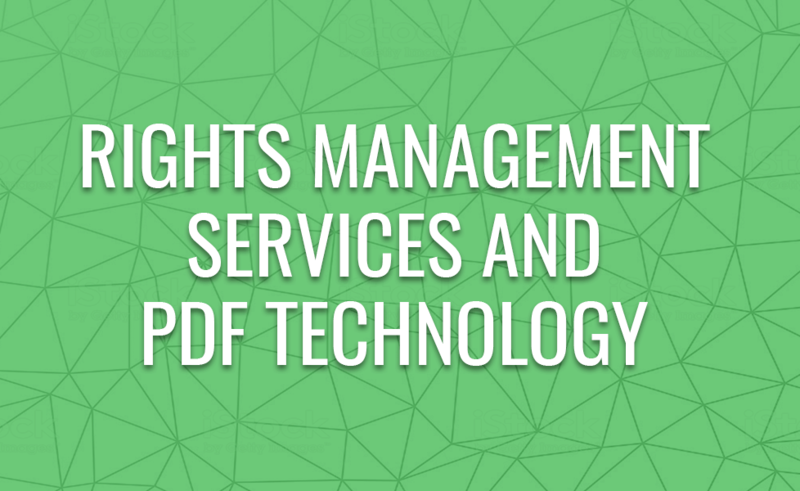 Rights Management Services (RMS) limits the type of information that customers & staff can edit, share & print. 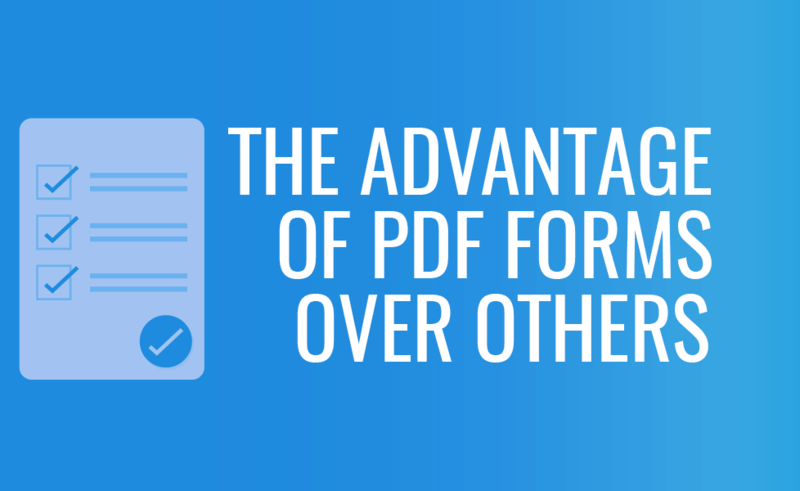 Find out how it can improve your PDF document management.